A cash management solution to secure your cash and control the flow of cash throughout your business. Bringing you a high security deposit safe which also has the added advantage of being able to dispense specific amounts of notes and coins, on demand. 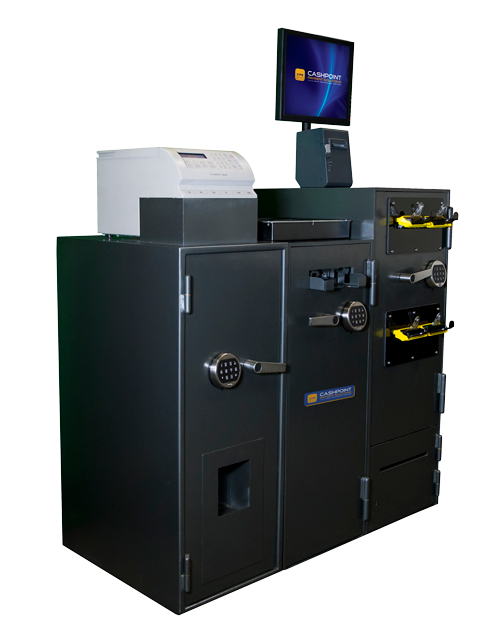 Electronic control simplifies reconciliations, reduces the risk of exposed cash, and eliminates the need to spend time counting cash. Select from one of the numerous dispensing options to issue notes and coins. Reconcile your cash inventory through extensive reporting capabilities. Check out our range of products Cash Redemption Terminal (CRT), Note Breakers and Coin Dispenser.